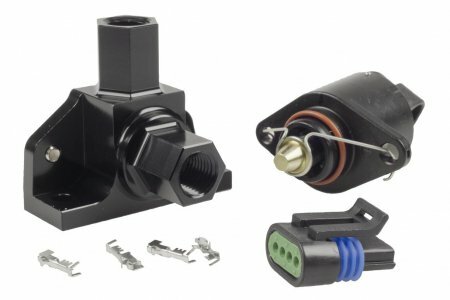 Raceworks Remote Idle Speed Control Kit. Ideal for situations where a standard idle control valve won’t fit, such as ITBs, or where it needs to be hidden. Raceworks Remote Idle Speed Control Kit. Included fittings: AN-8 Male Flare adapters x2 and AN-6 Male Flare adapter x1, and a single AN-6 Flare Cap.